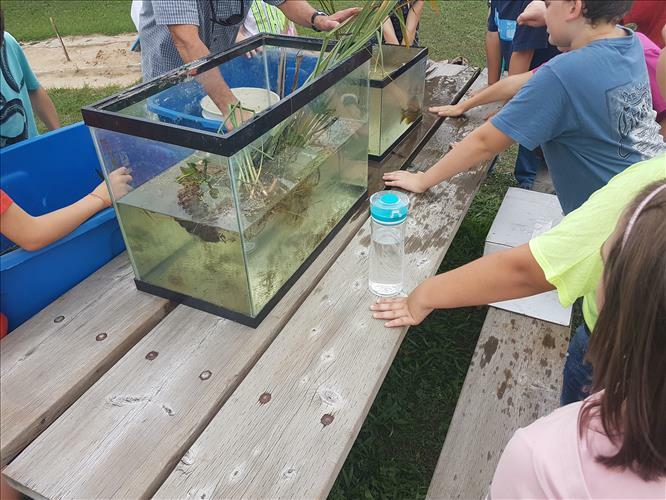 Teeterville Public School students recently became more aware of the wonders of the natural world and their role in preserving it, without leaving their own backyard. The area is home to the Teeterville wetland pond complex, a 400-acre ecosystem which is overseen by the Long Point Region Conservation Authority. Greg Deyne, retired biologist with the Ministry of Natural Resources, has organized a team of volunteers dedicated to sharing their knowledge of the Teeterville wetland, and the factors that endanger its survival. On a recent visit to the school, the group brought students up close and personal with this important natural resource. Every student, from Kindergarten to Grade 8, had the opportunity to participate in an interactive presentation focused on local plants and wildlife. They also learned how they can become more effective stewards to the environment around them as they learned about conservation measures. 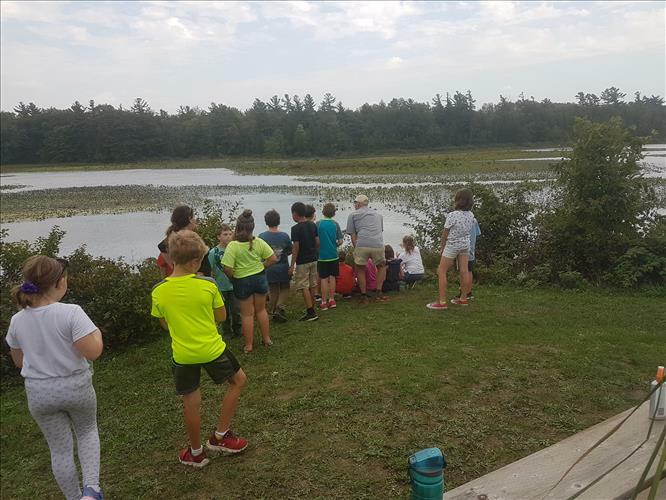 Junior and Intermediate students then took the short walk to experience the wetland firsthand. There they witnessed the flight of a bald eagle, a swimming muskrat, a grazing egret, as well as countless other water fowl, fish, and plant species. 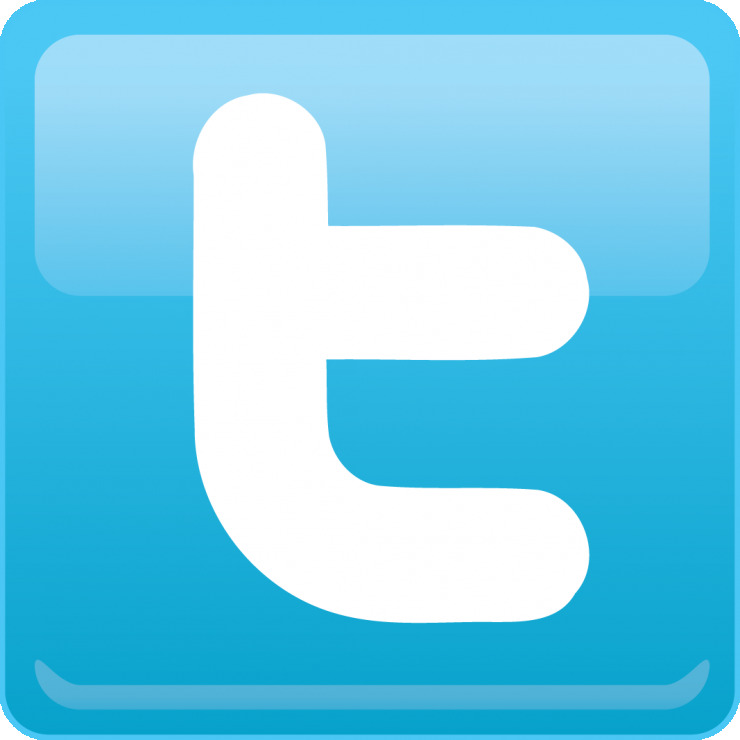 Community and Environment are both key parts of Grand Erie’s Multi-Year Plan. The plan aims to improve energy and environmental conservation at its sites, and also to foster and celebrate the community partners who richly enhance the learning experiences of students.